Goodman has acquired a 9.5 acre site in Park Royal in London as part of its strategy to, develop industrial properties in infill locations close to consumers. 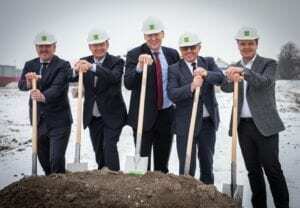 Logistics service provider Kuehne + Nagel is to move into a new 16,000 sqm (172,223 sq ft) logistics facility built by Goodman at bayernhafen in Regensburg, Germany. 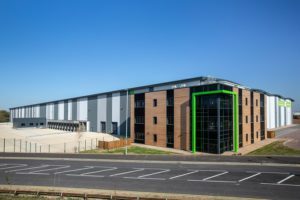 Architects Stephen George + Partners has completed a £15.75 million project for industrial property group, Goodman, which includes work on two Grade A warehouse units at Leicester Commercial Park, Lubbesthorpe. 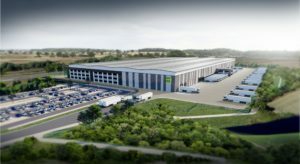 Goodman has acquired a 10.3 acre logistics site at Bermuda Park, Nuneaton which will provide up to 230,000 sq ft of distribution warehouse space. Goodman has started work on a 45-acre mixed-use development adjacent to the A421 in Bedford with a 405,312 sq ft unit. 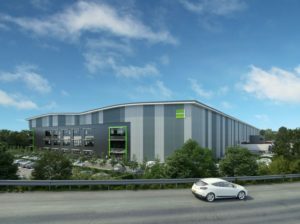 Developer Goodman has launched Leicester Commercial Park – a 40-acre logistics and warehouse development which includes a 335,000 sq ft unit immediately available.